As OAP’s set to rise to 1 in 4 of Frodsham’s population by 2037 – Where are they all going to live? With constant advances in technology, medicine and lifestyles, people in the Frodsham area are, on average, living longer than they might have a few decades ago. As Frodsham’s population ages, the problem of how the older generation are accommodated is starting to emerge. We, as a town, have to consider how we supply decent and appropriate accommodation for Frodsham’s growing older generation’s accommodation needs while still offering a lifestyle that is both modern and desirable. In 1997 in Frodsham, around one in every eight people (16%) were aged 65 years and over (and the local authority area as a whole), increasing to nearly one in every five people (21%) in 2017, and it is projected to reach one in every four people (28%) by 2037. Over the next 19 years, the growth of the over 65 population in Frodsham will grow by 33.3%- a lot more than the overall growth population of Frodsham of 4.7% over the same time frame. In fact, the number of those over 90 is expected to more than double in our local authority from 3,336 (1.0%) in 2017 to 7,388 (2.1%) by 2037. Looking at Frodsham and the local authority as a whole, there is a distinct undersupply of bungalows and retirement living (i.e. sheltered) accommodation. 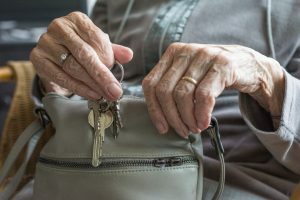 The majority of sheltered accommodation fit for retirement is in the ex-local authority sector whilst the majority of private sector bungalows were built in the 1960s/70s/80s and are beginning to show their age (although that means there is often an opportunity for Frodsham investors and Frodsham buy to let landlords to buy a tired bungalow, do it up and flip it/rent it out). In the medium to longer term, we need to build more bungalows and sheltered accommodation and, if we do that, that won’t only be of benefit to the elderly population of Frodsham – it will have a direct knock-on effect to the younger and middle-aged population by unlocking those family homes the older generation homeowners live in. This scantiness affects both mature homeowners trapped in unsuitably large family properties, unable to find smaller bungalows or suitable retirement apartments, while the waiting list for council sheltered accommodation is putting a strain on other aspects of social care. In both circumstances, policy coming (or not coming) out of government is repressing the supply and type of accommodation mature people desire, need and want, while at the same time, increasing the cost (and taxes) for social and NHS care. Maybe we need tax breaks for people to downsize or planning permissions that stipulate bungalows only. Whichever way you look, there are challenging times ahead for us all. This news article was published on Friday, December 7th, 2018 and is categorised under Frodsham & Helsby Property News.